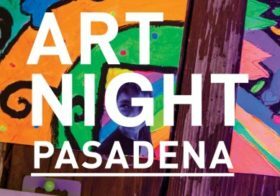 ArtNight Pasadena is happening tonight, March 9. ArtNight is a free event that includes art, music, and entertainment that goes on from 6 to 10 p.m. To begin your experience, find your way to the Armory Center for the Arts (145 North Raymond Avenue, Pasadena, CA 91103) and a free shuttle that runs all evening will take you to the other locations. Tonight would be a good opportunity to explore some of Pasadena’s best museums and galleries since it is all free. You will be able to participate in family-friendly activities, performances, and workshops. There will also be food trucks stationed throughout the city that are a part of the GiveBack Program. The food trucks will donate 10% of their ArtNight proceeds to help support future ArtNights. More information about the event is on their website www.artnightpasadena.org.